[This blog post is the start of a series of new posts that I will be doing entitled, "Tales From The Mission Field". Kabwata Baptist Church is presently overseeing the establishment of some twenty Reformed Baptist churches across Zambia and Botswana. 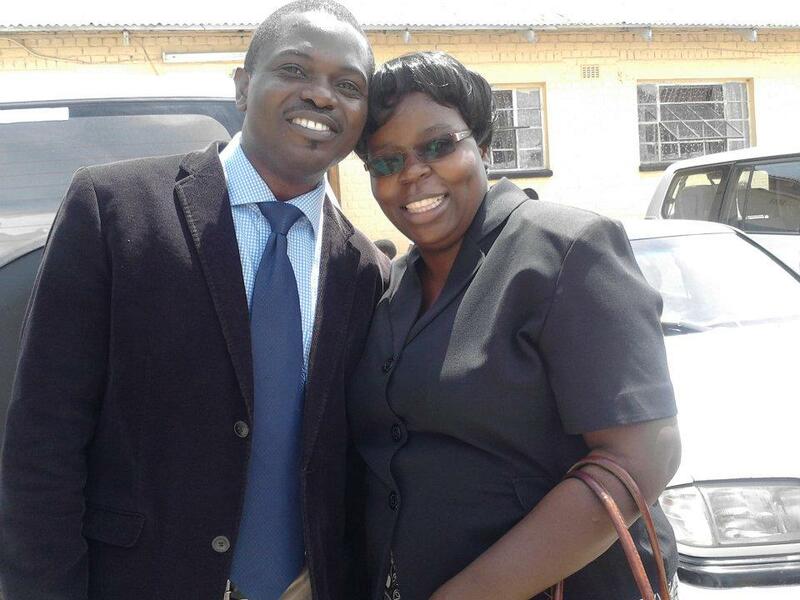 Other church plants have already become independent Reformed Baptist churches in Zambia, Namibia, and Malawi. “Ninshi ulefwaya iwe, Pastor Banda." These were words from an old man aged over sixty years. I met Mr Manjimela in the early months of 2012 when I came to take up the work at John Laing. He is Bemba by tribe and the above words, spoken in Bemba, simply mean, “What do you want, Pastor Banda?” He divorced his wife 10 years ago. He now lives alone and is not in any formal employment. Finding something to eat is a real struggle for him. 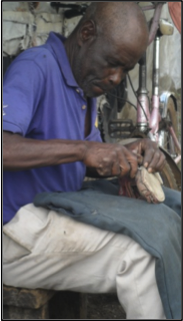 From what I have seen he tries to earn his living as a cobbler, mending other peoples’ shoes. Unfortunately Mr Manjimela does not seem to have many customers. In a whole day he would probably have two or three customers. That would raise him only K2 (US$0.40) or K3 (US$0.60). In short, the old man needs someone to take care of him. I tried to find out if he receives any financial help from his children or any other relative to buy his daily requirements. So far, it seems he has no one to help him. I am still investigating so that I establish his status and also just to know him better. I have been sharing the gospel with Mr Manjimela since May 2012. In some instances I just sat with him to ask him about our country’s history, how it was doing under the colonial government. We have been talking and sharing many stories. Being an old man he is a great store of very interesting historical stories, particularly about the missionaries who once came to Zambia to spread the gospel. The challenge that I have had with Mr Manjimela has been his not allowing me to open and read from the Bible. This is what he would say: “What do you want, Pastor Banda? I know the Bible better than you. I have been reading the Bible for a long time, as far back as 1950. What new thing can you tell me from it?” In other instances, he would not even allow me to visit his home. 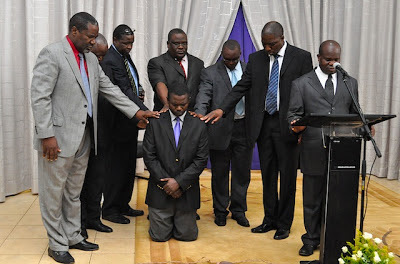 I really desired Mr Manjimela to know the Lord Jesus Christ and receive him as his personal Saviour. Despite much prayer for his salvation I still experienced very strong opposition from Mr Manjimela. What troubled my heart was that he had been neglected by his family and he did not know the Lord Jesus Christ as his Saviour. If only he could have Christ, I thought to myself, at least he would not be alone but have a spiritual family to take care of him. Towards the end of last year, after a break of about two months without sharing the gospel with Mr Manjimela, I went back to him. We briefly revived the discourse but he soon said these words again in his local language, “Bushe ninshi efyo ulefwaya kuli ine? Teti uye monako bambi?“ Which translates into “What do you really want from me? Can’t you go and see other people?” This made me stop visiting him. Then in February this year, I recommenced. I took every opportunity to at least read a Scripture for him even if he was not paying attention. I believe that, in spite of it, the Lord was doing his job speaking to him in a special way. To my amazement, on the first Sunday of March this year, I saw the old man come to worship with us. He seemed very happy with the service. Since then Mr Manjimela has become one of us. Two weeks ago, he professed faith in the Lord Jesus Christ. He is among the earliest to come to church every Sunday morning. He is there for Bible study and he participates very well. He also attends men’s fellowship every Friday evening. Please join us in giving thanks to our Lord for Mr Manjimela. Pray for his growth in the things of the Lord. The work at John Laing is beginning to gain momentum. Please continue praying for its growth. Give thanks with us for the youth ministry which has just been born. We will value your support in praying for more conversions and spiritual growth. Pray also that I establish a leadership group in the church. I personally have not enjoyed good health for the past six months and have gone through various medical tests all of which have turned out negative. Pray that this too gets resolved. Don Carson and Thabiti Anyabwile Coming To Zambia! Don Carson and Thabiti Anyabwile will be the preachers at this year’s Zambian Annual Reformed Conferences, taking place at Lusaka Baptist Church, in Lusaka, from Monday 26 to Friday 30 August. If you are wondering who these two individuals are, just Google their names! 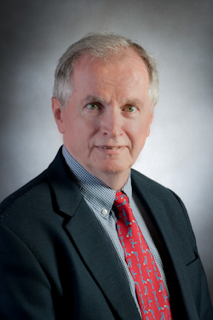 Don Carson is research professor of New Testament at Trinity Evangelical Divinity School in Deerfield, Illinois. He has been at Trinity since 1978. Carson came to Trinity from the faculty of Northwest Baptist Theological Seminary in Vancouver, British Columbia, where he also served for two years as academic dean. 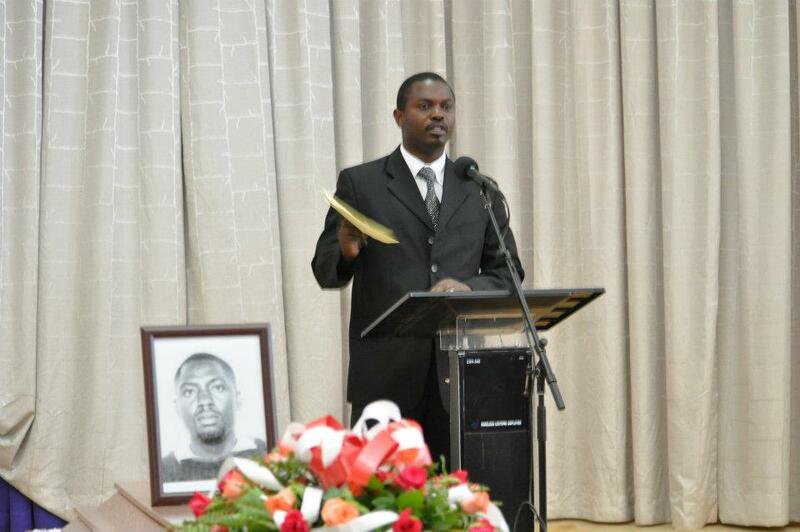 He has served as assistant pastor and pastor and has done itinerant ministry in Canada and the United Kingdom. Carson received the Bachelor of Science in chemistry from McGill University, the Master of Divinity from Central Baptist Seminary in Toronto, and the Doctor of Philosophy in New Testament from the University of Cambridge. Carson is an active guest lecturer in academic and church settings around the world. He has written or edited about sixty books. He is a founding member and currently president of The Gospel Coalition. Carson and his wife, Joy, reside in Libertyville, Illinois. They have two adult children. 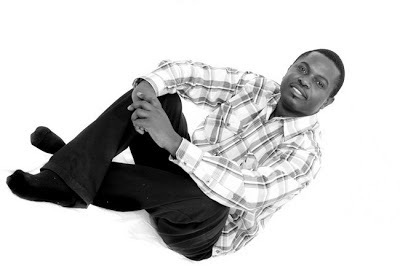 Thabiti Anyabwile is the full-time husband to a loving wife, Kristie, and father to three adorable children: Afiya, Eden and Titus. He currently serves as senior pastor at First Baptist Church in Grand Cayman, Cayman Islands. Previously, he worked as an assistant pastor at Capitol Hill Baptist Church under Mark Dever. Thabiti holds B.S. and M.S. degrees in psychology from North Carolina State University. 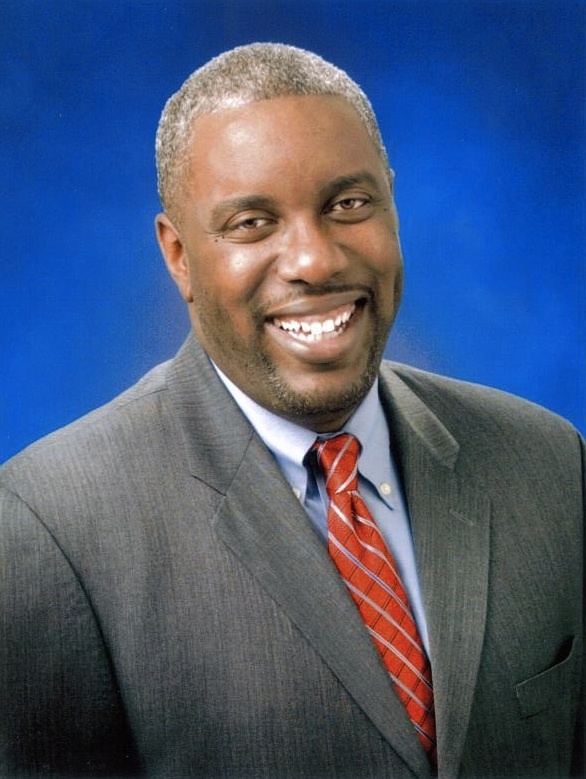 A former high school basketball coach and bookstore owner, Thabiti loves reading, sports, and watching sci-fi films. He is the author of The Decline of African-American Theology, What Is a Healthy Church Member?, The Faithful Preacher, The Gospel for Muslims, and The Life of God in the Soul of the Church. Conference Theme: “The Christian Life: Finding Assurance and Fighting Temptation." Any pastor will tell you that these are the two biggest issues Christians have to handle in this life. Satan first tries to convince them that they are not saved. When he fails, he changes gears and tries to make them mess up their lives with sin and thus render them useless as far as kingdom work is concerned. We trust that our two preachers will help us lock both of those doors securely with biblical clarity so that we can enjoy unclouded fellowship with God and serve him with all our ransomed powers. Conference Registration: All registration is done on-line. All you need to do is visit the Kabwata Baptist Church website (click here) and fill in your details. It is as simple as that. Payment for the conference will be made when you come. Warning: Firstly, the registration closes on 31 July 2013. Secondly, last year we had about 1,200 people registering for the conference. We expect even more this year. There are limited places for accommodation and it is given on first-come-first-served basis. The message must be obvious. Register NOW!!! International Guests: The conference is FREE for all INTERNATIONAL guests. We assume that you spend so much money coming to Zambia that we seek to extend to you our well-known Zambian hospitality free of charge. So, if you are coming from outside Zambia, make sure you register early and in due season you will be informed about your accommodation and transport. 1. Our beloved brother Voddie Baucham will be with us again this year. He will simply be bringing the opening keynote address on the Monday evening! 2. We are bringing in some of the books that these authors have written and they will be sold at special conference discounted prices. So, bring some extra cash and ensure that you not only get these books but also have them autographed by the authors! Conrad: Kasango, tell us, when did you first begin to sense the call to the preaching ministry? 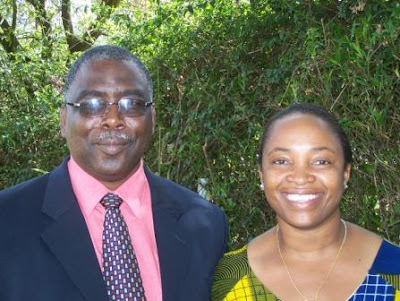 Kasango: I think my desire to be in the preaching ministry began in the late 1990s but I only expressed it in 2002 when I shared it with my wife, who then was my fiancée. I remember telling her that I had the desire to serve in the office of pastor. However, it took another 5 years for me to make another important step forward partly because I thought the initial desires were just youthful. This important step was made when the pastor of Grace Reformed Baptist Church requested me to attend the first class of the Copperbelt Ministerial College, a theological school that began on the Copperbelt in July 2007. This was meant to be for auditing purposes. I ended up doing the whole course for 4 years and I was more than ever convinced this is where I belonged. Conrad: How did this initial sense of call become confirmed as more than just youthful passion? Kasango: During the period I have just talked about, i.e. from about 1997 to the year 2007, my preaching engagements in local churches increased, especially in the churches where I was a member. This growth in preaching opportunities was coupled with a growing passion for the lost. Many brethren made positive comments about my call to ministry. All this, coupled with my own inward conviction, went a long way to seriously confirm my call. Conrad: So, did the confirmation of this call immediately lead to you going into pastoral ministry? Kasango: No. To begin with, I tried to deny what was clearly staring me in the face. In 2007, when we relocated to Lusaka, I wanted to rest from my preaching labours. I thought the change of environment would give me the opportunity to simply stop preaching, but this was not to be. Preaching engagements increased and reminders that I may be called to the preaching ministry became frequent and more intense. I tried to reduce their impact by turning them into a joke, but it did not work. I remember literally avoiding some Christians for fear of being challenged over this important matter. I would usually shrug off this guilt and find some temporal solace when discussing this with my wife by saying, “These people who want me to go into pastoral ministry, why don’t they go themselves if they think it is that easy?” Clearly, I was simply resisting what I now believe was the voice of God speaking to my conscience. Conrad: Come to think of it, how was your wife processing all this? Kasango: My wife is a very sensible woman. She never doubted my calling but she was cautious on the side of timing. She wondered whether I had matured enough to handle the weight of such a high calling and the demands of being an under-shepherd in charge of precious souls. I also had my own reasons for hesitating. I knew my own weaknesses, and feared that I may fail and bring shame to the Lord’s name. There were issues of social security, and so I wanted to first secure a comfortable future. My family is still young and so I wanted to first finish building a house. Conrad: From what I know, you have not yet secured your comfortable future nor have you finished building your house. So, what made you take the plunge? Kasango: I think it was interaction with our local Reformed pastors and good friends. The wise counsel and encouragement I got from them really helped. I remember a friend taking me out for lunch one day to discuss this important issue. The missions conferences at Kabwata Baptist Church also played a big role and greatly challenged me to make a decision. Conrad: And when did this finally happen? Kasango: In 2011. I told my wife and myself that I was not growing any younger and that, therefore, if I did not answer the call by the end of that year I would never do so. I do not know if you remember, but one evening in September or October that year, when coming together from an assignment, I asked you how you answered the call to pastoral ministry. During that discussion, I told you how I felt, that I sensed the call but the time to leave work was the big issue. You may not remember this, but you suggested that this could be presented as an item of prayer to the elders. However, you went further and suggested that in due season I should also share it with the church at large. I felt that you were too quick in suggesting that I go that far. However, this helped me make the difficult decision. I had been lacking in faith and courage. Talking about my struggles with you as my pastor helped me cross the Rubicon. If I had not done so, I would have continued to suffer this horrible disease called indecision that has robbed many people from making tremendous progress in life. After the mind of the Lord was known through the church, this gave me peace and joy even when I knew I would part with some benefits that go with secular employment. Conrad: I do not think you are the only one who has suffered such indecision for a long time. Using the benefit of hindsight, what would you say a person should do who is in “the valley of decision” and is at a loss what to do? Kasango: After going through this experience, I think the responsibility lies with the person feeling or sensing the call to ministry to share with his elders and good friends. Having said that, I also think the elders of local churches should be on the lookout to identify and provide counsel to men who they think are in this dilemma. Conrad: Thank you, Kasango. I am sure many who are in “the valley of decision” will be helped to see the way ahead after reading the Lord’s dealings with you in this matter. Conrad: Emmanuel, tell us briefly about your doctrinal journey prior to your entry into the pastoral ministry. Emmanuel: I got converted in 1980 in the Pentecostal and charismatic movement. My involvement can best be summarised in the language of the apostle Paul to the Galatians: “I was advancing in Judaism beyond many Jews of my own age and was extremely zealous for the traditions of my fathers” (Gal 1:14, NIV). This went on until the mid 1980s when I was living in the Copperbelt town of Mufulira. New light dawned on me and resulted in a dramatic doctrinal shift. I came out of the Pentecostal and charismatic faith and instead embraced the Reformed faith. I later joined a newly established Baptist church of a Reformed persuasion, which was pioneered by a Dutch missionary. At this time I never accepted any responsibility related to teaching or preaching in the church. In fact, no thought ever crossed my mind of becoming a pastor at this juncture. Conrad: How did you move from this situation where you never ever thought of becoming a pastor to the point of considering this as an option? Emmanuel: In 1987, I found myself in the town of Kabwe, located in the Central Province of Zambia, through a work transfer. In this town, there was no Baptist church of a Reformed persuasion. In the providence of God we established one. This was done together with other brethren of like mind doctrinally who were also new in the town. I found myself thrust into the leadership of the church and became a teacher and a preacher contrary to my expectations. This was a decisive development for my character and for my future calling as a pastor. In the sequence of events, our new church called to the pastorate the same Dutch missionary I worked under in Mufulira. I worked very well with him so that in the end I became the de facto “assistant pastor” to the missionary. This development was positive for my training. Conrad: I am given to understand that you moved towns quite a bit in the 1990s before you finally quit what is called secular employment to become a pastor. Tell us about that. Emmanuel: Later in 1989, I got married and started a family. This in a way indirectly re-directed my desire from taking up the pastorate. This was also largely because no church extended a call to me even though I myself was ready and ripe. In 1992, we moved to Luanshya. Again I found myself in a small local Baptist church. The name of the church was Luanshya Central Baptist Church established under the Urban Outreach Program of Lusaka Baptist Church. Before long, I assumed eldership duties and, hence, became again a de facto pastor. The church had two elders including myself. Therefore, our joining of the Luanshya church ignited once again the passion for the pastorate. In 1993, we moved to the town of Kitwe after a change of employment. This move once again precipitated the establishment of another Reformed Baptist church under the auspices of Chingola Central Baptist Church and this took place in 1995. Again, I found myself as a de facto pastor. Again it heightened my desire for the pastorate. In August of 1995, we went back to Luanshya after a change of employment again. This time, I joined a company that was more stable and promising. This new job changed everything for me, especially my direction in life altogether. In this new Job, I found myself rising through the corporate ladder until I reached the managerial level. The rise was accompanied with fringe benefits, such as a big company house and a car. In short, my life was now defined in terms of remaining afloat in the corporate and secular world. 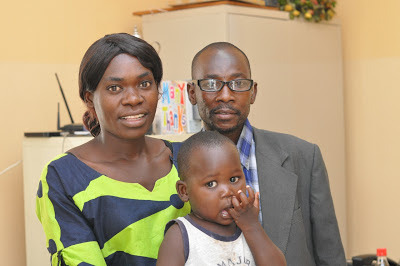 In conjunction with this success, we as a family found ourselves diversifying in terms of sources of income. We acquired many pieces of land for farming and thus became part-time famers in the end. We also established various business ventures. This is what changed our outlook in life and the previous desire to serve God in a full time capacity was shelved. Conrad: How did the Lord move you from this state where you had literally shelved any desire to serve in the pastorate to where you are now? Emmanuel: It was in 2000 that a number of changes occurred. Firstly, I started receiving invitations to preach in sister churches. This development was overwhelming. Thus, it was because of the invitations from sister churches that our minds were redirected to the call to full time ministry. Most of these churches were new and so we found ourselves providing leadership counsel to them whenever we visited them. One of the questions that would be put bluntly before me was why I was not yet serving in the full time ministry. Of course, I could neither give myself a church to pastor nor send myself into the mission field. I needed to be called and this was not forthcoming. This is where the problem was for me even though the brethren were oblivious to it. Secondly, the onset of the millennium also compelled my wife and me to make assessment of the extent of our involvement in the corporate world and also in the business world. We were convinced that our calling was not there. Se, we decided to disentangle ourselves from our depth of involvement in the moneymaking industry. It was a costly decision. We sold off our farms and our businesses and began to wait on the Lord to open a door into full time ministry. It was in 2003 when a call finally came. I was asked to serve as missionary pastor. The call was extended to us from Central Baptist Church of Chingola (CBCC) to establish a church in the town of Chililabombwe. Kabwata Baptist Church (KBC) who pledged to back us financially also encouraged our entrance into full time work. In view of this support, I resigned my secular job to take up the call. This was in December 2003. From that time to date, we have been serving faithfully and with much contentment.